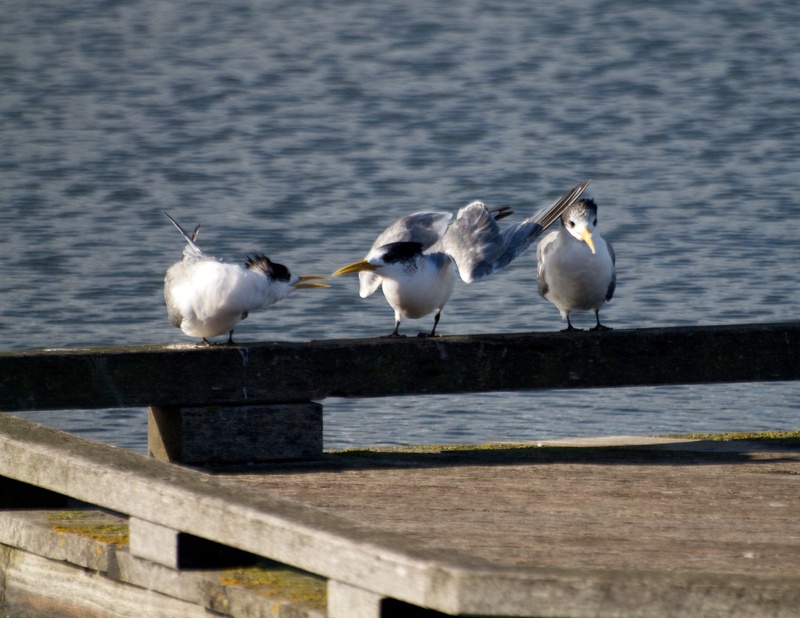 The following photographs are of Crested Terns (Thalasseus bergii). These birds are about 43 – 48 centimetres in length; they have a yellow bill and white body with black on top of the head, and when breeding will have a black crest. Their wings are grey. Anglesea River in Victoria, Australia. 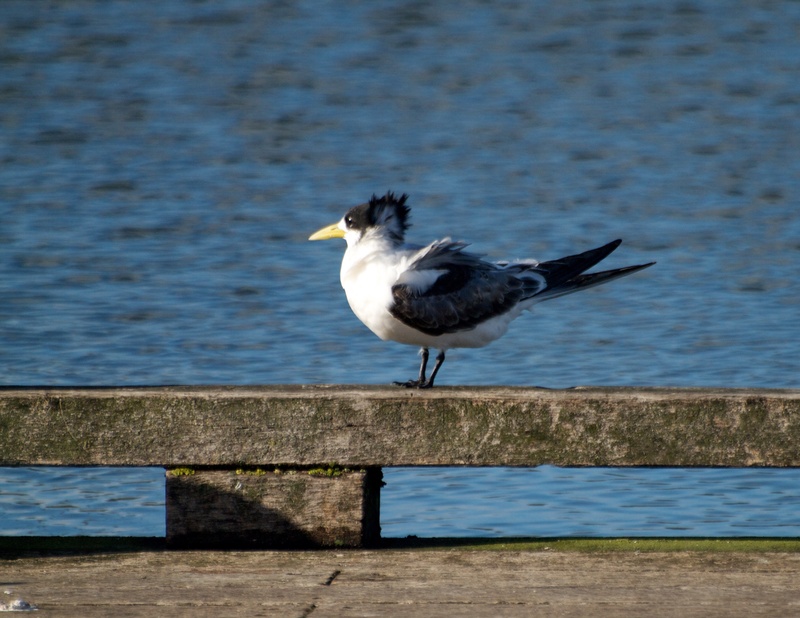 Crested Terns begin breeding when about two years old. The breeding season in eastern and southern Australia is usually from September to January; clutches consist of two eggs. They are native to Australia and are carnivores. They will be found in coastal bays and inlets, lakes and large rivers. They were once known as “sea-swallows” because of their forked tails and graceful flight patterns. Their conservation status is considered secure however in Victoria they are “near threatened”. 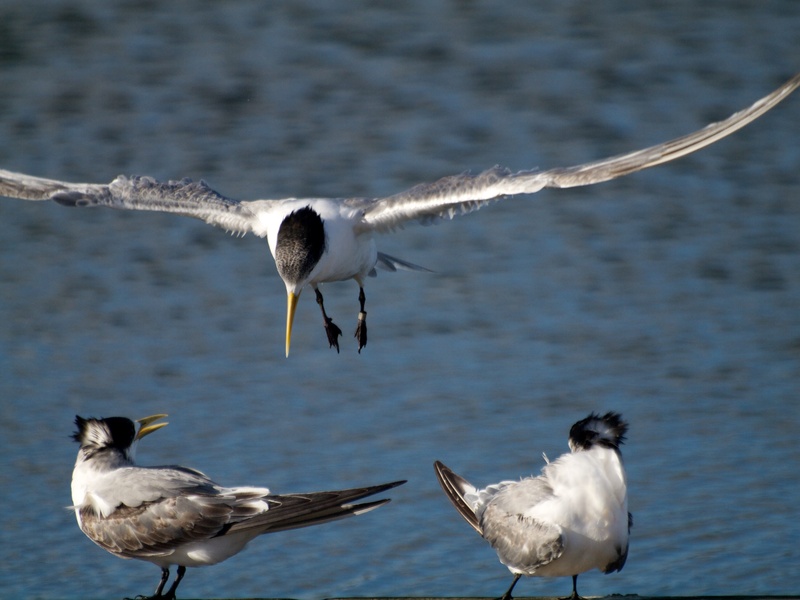 Terns are related to gulls however have more pointed bills and slender wings. Juvenile birds are distinguishable by their greenish-yellow bill. They are similar to non-breeding adults but their black cap extends like a collar to the throat sides. They will have a black shoulder and their upper parts are variegated; dark grey and white. (Thalasseus bergii) at the Anglesea River. The following photographs are of Red-rumped Parrots (Psephotus haematonotus). They are small birds of about 27 centimetres. 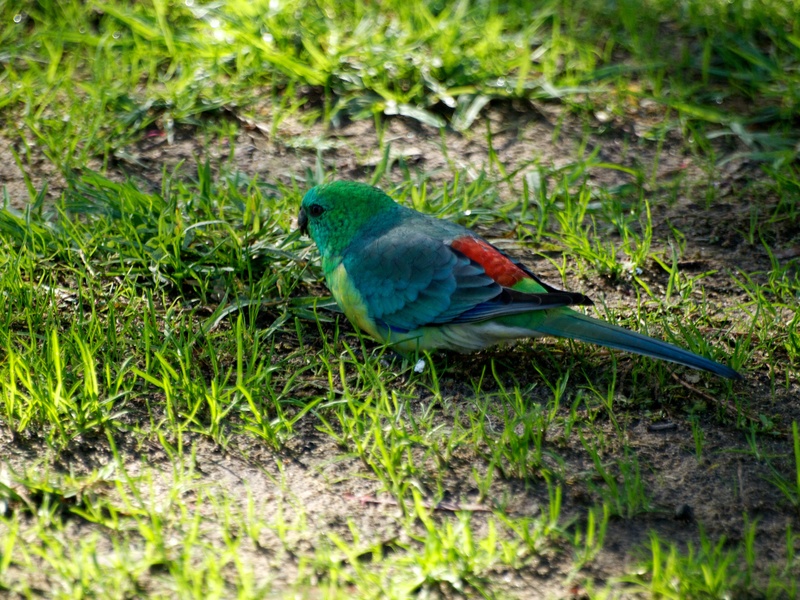 Their voice is a two-syllable whistle and Red-rumped Parrots can be heard and seen in open woodlands, Red Gums, grasslands, farms and urban parks. 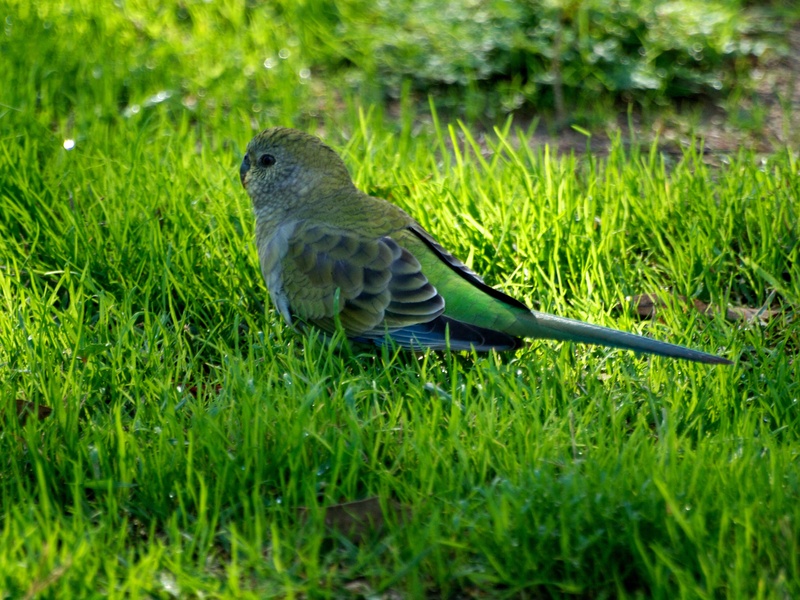 These birds were located in an urban park (Balyang Sanctuary), situated on the bank of the Barwon River in the Victorian city of Geelong.